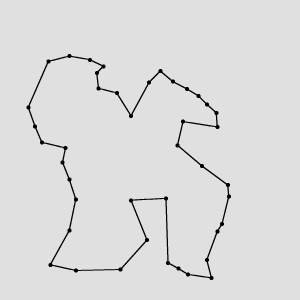 Creates a polygonal region corresponding to a given closed path. The computation of following outputs can be switched off by passing value atl::NIL to these parameters: outRegion, outAlignedPolygon. Read more about Optional Outputs. 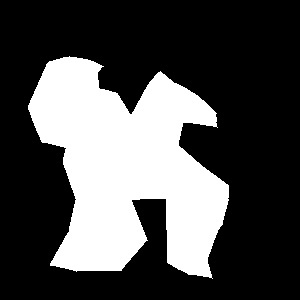 The operation creates a region containing pixels lying inside the shape described by inPolygon. The inFrameWidth and inFrameHeight parameters most often should be set equal to the dimensions of the image this region will be used with. If the input polygon exceeds these dimensions, the output region will be cropped. Remember to set inFrameWidth and inFrameHeight inputs to specify the region frame. inPolygon has to be a closed path, otherwise an error with appropriate description occurs. DomainError Open path on input in CreatePolygonRegion. DomainError Output region too big in CreatePolygonRegion. CreateBoxRegion – Creates a rectangular region corresponding to a given box. CreateCrossRegion – Creates a cross-shaped region with given parameters.